The pair remains in a consolidative mode so far this week following another failed attempt to break above the 1.1400 handle in past sessions. EUR/USD continues to face strong resistance in the 1.1400 neighbourhood. 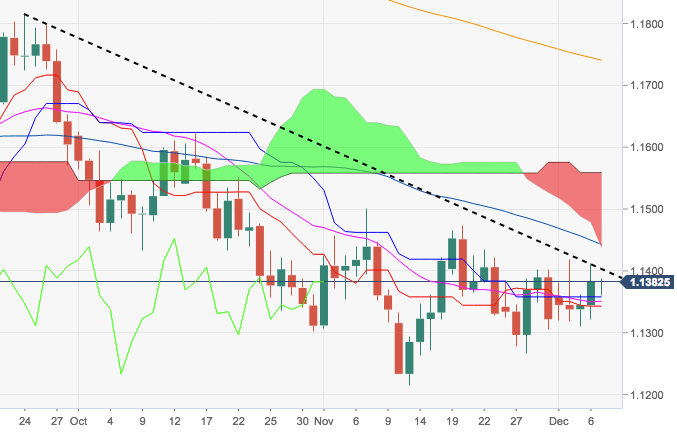 This area is now reinforced by the short-term resistance line at 1.1403. Immediate hurdle remains at recent peaks in the 1.1410/20 band ahead of the more relevant 1.1470/80 area.